This story originally appeared in the May issue of Tarrant County Physician magazine, the journal of the Tarrant County Medical Society. 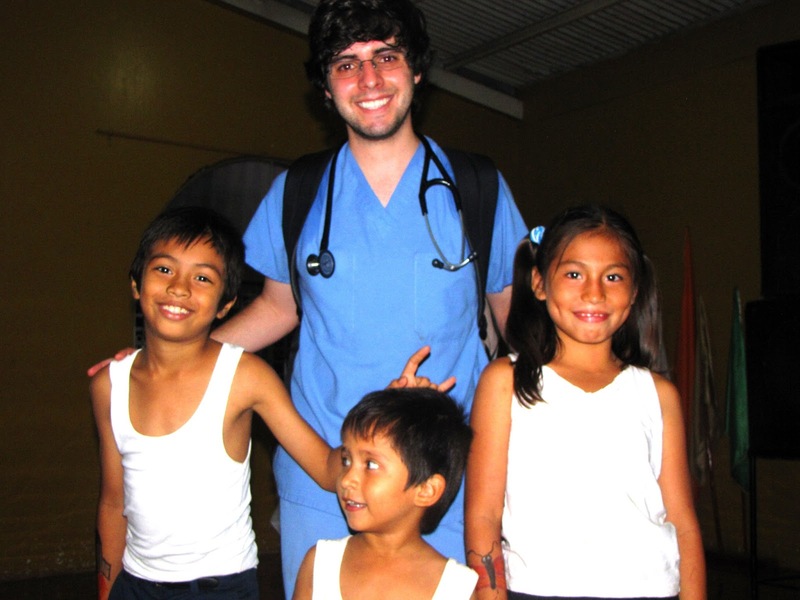 Mr. Septien is an osteopathic medical student at the University of North Texas Health Science Center in Fort Worth. On March 9, 2013, the University of North Texas Health Science Center chapter of the Christian Medical Association took nearly eighty people on a one week mission to Managua, Nicaragua. This hodgepodge group of travelers included everything from DOs, MDs, PAs, nurses, medical students, and physician assistant students to their spouses and relatives. 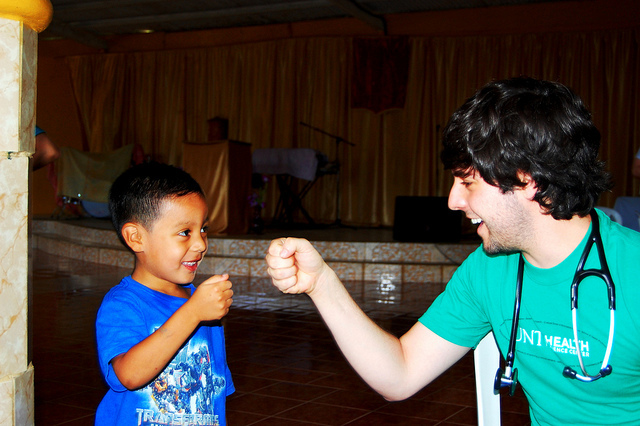 All of us were eager to help these yet unknown Nicaraguans in whatever way we could, whether medically or spiritually. The trip had a less than perfect and mostly humorous beginning. The official mission trip t-shirt misspelled the name of the capital city we were visiting. The turbulent flight caused more than a few to brandish their “barf bags.” Also, the late realization that though we were visiting a Spanish speaking country only about eight of us, including myself, were capable of speaking Spanish. With all of these insignificant and mostly trivial complaints behind us, we set out to change the world. For a yet unexplained reason I, along with a select few of my classmates, was upgraded to first class. In this undeserved luxury, I sat back and wondered what the coming week would bring. Which kind of patients would I see, what kind of help could a first year medical student possibly give to anyone, and how could I make absolutely certain that no one realized how little I know about anything? Most pressingly, I wondered how the voice of a normally quiet person such as myself could possibly survive one week of constant translating (it didn’t). Like most of the people on the trip, I knew next to nothing of Nicaragua. My family being from Mexico, I thought I might know what to expect. I was wrong. Nicaragua is much poorer than I ever imagined. There is little (if any) of what we might consider “modern-day conveniences.” There are nearly no nice neighborhoods or upscale parts of town. Instead there are pockets of “normal” shops and houses, with “normal” things like yards and cars, completely enveloped by desolate poverty. My initial excitement for the trip was quickly suppressed by the overwhelmingly obvious realization that we had a lot of work to do. Four separate clinics were set up at four separate sites. We attempted to specialize the clinics, with one being designated for geriatric care, one for pediatrics, and two for the exceptionally poor. These arbitrary designations did not last as word spread that doctors and students were seeing patients for free. Each clinic developed its own system of patient intake and triage, followed by an encounter with a team of students and then a consultation with a physician. First through fourth year medical students, physician assistant students, and nurses all mixed to form two-person interdisciplinary teams. When with a teammate, I often found that two of us working together could, occasionally, at our most efficient and clairvoyant, almost make at least one semicompetent health care provider. If I wasn’t a believer in team-based medicine and the necessity of working together with the other levels of healthcare, I am now. We would hear the patient’s chief complaint and medical history, and then venture an educated guess at what might be ailing them only to have the physician look over our notes and disappointingly ask how many zebras we planned on bagging that day. It was a humbling experience which served as a reminder that, regardless of my often inappropriate self-confidence, I still have an enormous amount left to learn. And learn I did. I’d venture to guess that I learned more about medicine and how patient care is delivered in the real world in that one week than I had in an entire year of medical school. It was a fantastic experience … well, at least from the perspective of the students. I did my best to hide my ignorance from the patients, but it clearly came through on more than one occasion. Worst of all when the more inquisitive patients would ask for their diagnosis well before a physician had seen them. After giving one (or maybe two) wrong diagnoses, I simply and humbly told them I did not know and that we had to wait. 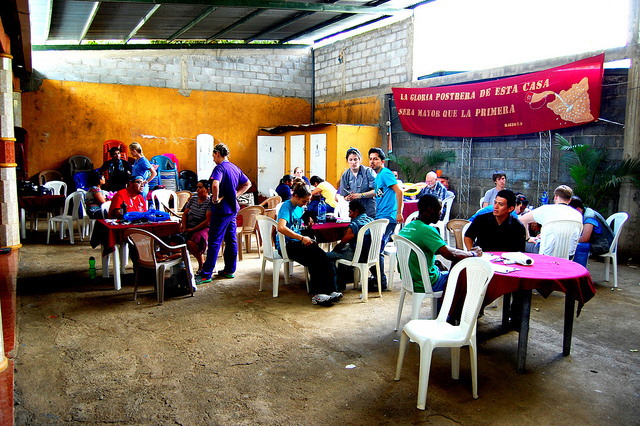 Through it all, the Nicaraguan people remained incredibly patient and thankful. In order to receive what little care we could provide, some of them were forced to endure hours of overwhelming heat and inconveniences; yet not a one complained. They are an incredibly loving and faith-filled people. The trip was not all rainbows and unicorns. Any experience of this nature will surely bring with it sadness and frustration. There were patients who clearly needed help that we were never going to be able to provide. A woman who had undergone a double mastectomy for treatment of breast cancer years ago had come to us for help with her shoulder pain, only to have us find large nodules in multiple lymph nodes. An elderly woman who was slowly being eaten away by systemic lupus erythematosis, who did not understand what was happening to her or why she was is so much pain. A child who had on multiple occasions tried to hurt himself, and who no longer saw the joy or point in living. I knew we would encounter these types of patients and I knew that when we did, I would be the one tasked with telling them that we could not give them the type of care they desperately needed. No amount of planning, no amount of funding, no matter the type or quantity of doctor we took on that trip would ever allow us to treat everyone. We could never replace an oncologist, a rheumatologist, or a psychiatrist. We could never provide the long-term care many of the patients clearly required. In some way I knew and had prepared myself for that. We did what we could for them. For some, that meant little more than joining them in prayer. Surprisingly, it wasn’t when we fell short helping with the big stuff, the blockbuster disease, or the complicated treatments that most affected me. Instead, it was the little stuff that I found most devastating. It produced a constant nagging of an ideal; what if we had only brought more medicine, what if I ran to the pharmacy and bought whatever they needed, what if we had only planned a little bit better? It was the old lady, whose sole job was to carry two 10-gallon buckets of chlorine from a plant to her town at a distance of 3 kilometers, her knees malformed from years of osteoarthritis. All she wanted was some medication to help with her pain, and we were fresh out. She waited literally 14 hours only to be told that we could not help. It was a mom, concerned about her two children, who were clearly malnourished and underweight. She didn’t have the means to provide them with a well-rounded, substantial diet. All she wanted were vitamins to help her children along. She had waited 12 hours only to be told that we had just run out of supplies. For some reason those are the ones I can’t shake. Of course I hurt for the cancer patient, the depressed child, etc. However it was the little things, the ones that made the difference in the lives of these people and mine so … obvious, that will stick with me forever. Not everyone gets to eat. Not everyone has the means to get even the simplest medicine. Not everyone is privileged or lucky enough to live in health. Most days ended the same. Some, exhausted by the various events of the previous 18-plus hours, found solace in their bunk beds where they tried to collect as many hours of sleep as they could before the next morning brought with it another day of challenges. Others, including myself, paid patronage to a local watering hole within walking distance of our camp ground. There, doctors and students alike gave tale of the various experiences they had encountered at their respective clinics. We spoke of the things we had seen, the things we wish we hadn’t seen, the mistakes we had made, and the things we had learned. It was an invaluable opportunity to unwind and to take notice that all of us were struggling with the same demon: the constant realization that there was always more to do and always more people to help. That no matter how smart, talented, or even prepared we were not going to change the world. We took comfort in knowing we had done our best … not as an excuse or an appropriate cliché … but rather a realization that we could always improve and that our best could always be better. The next day, the next trip, we would do more. With that thought in mind, we all slept well. It is an opportunity not to be missed.